This September will mark 15 years since the terrorist attack on the World Trade Center in New York. Not yet a generation, but long enough that children who were just born are only now slipping into adolescence. So it is not surprising that there has been a flurry of books about the attack coming on the market for middle grade readers. I’ve spent the last month reading a good number of them, and one, in particular, stood out for me. “Towers Falling” by the already accomplished author Jewell Parker Rhodes, has done a brilliant job making a difficult story compelling yet accessible for 10-year-old readers. In her capable hands, one of the most horrific tragedies in recent memory shares space with the numbing everyday tragedies so many souls on our planet endure daily. Rhodes’ plucky protagonist, Deja, tells her first-person point-of-view narration in the short, clipped sentences you might expect from a kid who’s sharing one room in a homeless shelter with her parents and two younger siblings. Deja is mad—at the world, at her classmates, especially at her dad. His physical and mental troubles keep him unemployed and keep Deja’s family on the edge. When Deja’s sixth grade teacher begins a month-long lesson meant to introduce the class to the upcoming 9/11 anniversary, Deja is clueless. Why is everyone staring out the window at the downtown New York skyline, looking so stricken? She’s been so busy struggling to get through every day, that she sees no purpose in looking backwards to the past. But slowly, Deja comes to understand how the “far past” affects the “recent past” as well as the present, interwoven with the stories of her friends Ben and Sabeen, and especially in her family. The pitch-perfect characterizations of these three kids—their compassion, their vulnerabilities, and the realities of their lives in 2016—ring so true. Jewell’s feel for each one, as unique individuals, is deft. No stereotypes or tropes here. Perhaps it’s because of this fractious election season or maybe it’s because I’m an ex-New Yorker, but in my opinion, “Towers Falling” should be required reading for ALL Americans, not just middle graders. We need its healing now. Of all the delightful picture books out there, I keep a special place reserved for those that are author-illustrated. Maybe it’s because I’m a graphic designer as well as a writer. Most people just naturally assume that means I can draw. I cannot. Designing an exhibit or a publication, or even a book is a totally different animal than being able to draw and illustrate—anything. Trust me, you wouldn’t want to see what my drawing sketches look like—they’re frightening. 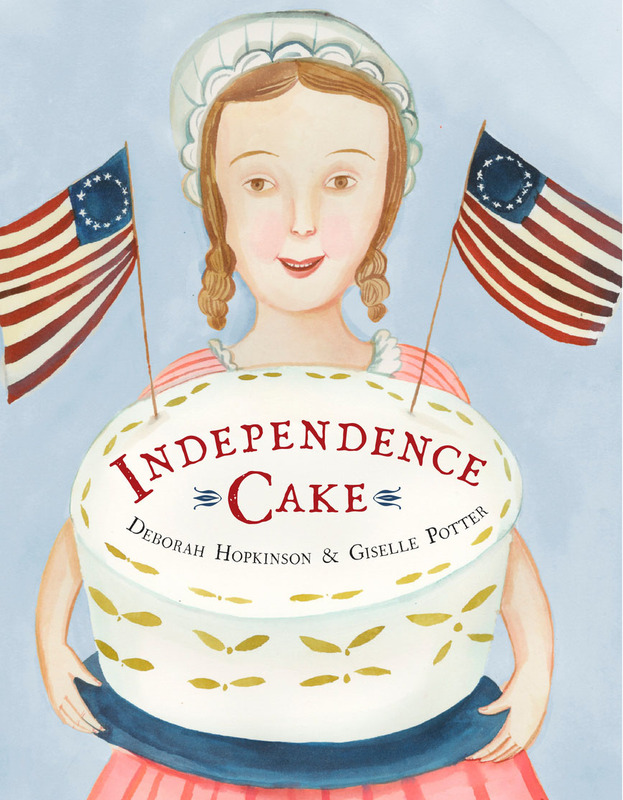 So author-illustrated picture books always fascinate me. Not only for the twin sets of technical prowess they showcase, but also because I often wonder about the process. As a writer, I’m always revising and sometimes second guessing decisions I’ve made in an earlier draft. When you’re the one creating both the pictures and the story, those lines must inevitably cross over and blur. Are there internal battles that rage between words and images? Do you wake up in the morning, knowing n your heart that one of them has to sacrifice itself for the good of good of the whole? 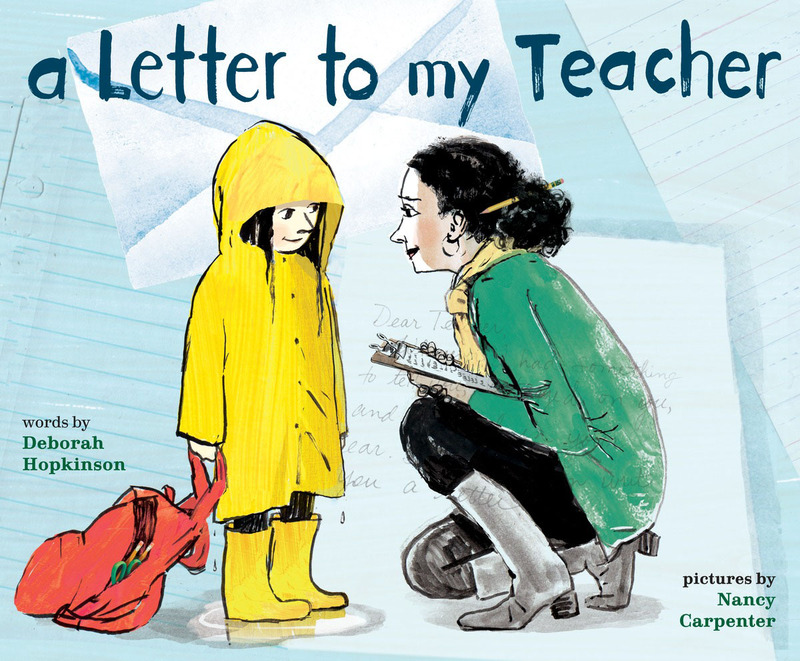 I’ve been musing on this recently after reading a great new author-illustrator picture book, “It Came In the Mail” by Ben Clanton just out from Simon & Schuster. Ben’s story and images work together seamlessly. The result is a quirky, funny book that will entertain young readers and also satisfy parents who will be enlisted to re-read the story nightly with witty little asides. 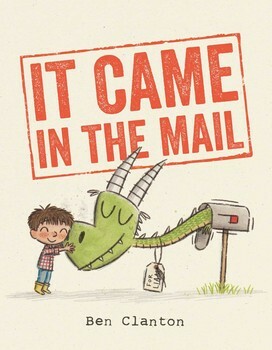 “It Came In The Mail” is the story of Liam, a boy who really, really, really, REALLY wants some mail. No spoiler alert-needed. As the title suggests, Liam gets his wish—in more wild and crazy ways than he could have imagined, and of course with surprising results. Bonus points awarded to Ben for the additional life lessons Liam learns along the way, including a new understanding of the joys of giving as well as receiving and how sometimes you can have too much of a good thing. What’s exciting about the marriage of Ben’s pictures and words in this book is how he builds his world little by little, layer upon layer. The image spreads deepen in complexity along with the story as the book progresses. Empty to full. Scarcity to overabundance. Adding meaning are the postcard, paper and stamp ephemera that Clanton skillfully incorporates into his drawings that add a tactile feel and richness to the pages. It’s hard to say whether, by the time Clanton’s intended audience grows up, there will even be anything sent by snail mail. But at least for now, kids can enjoy running out to their own mailbox to see what’s arrived. Kudos Ben, for giving parents extra work. Booksellers continue to tell us that girls will read books where the protagonist is a boy but it doesn’t work the other way around. The concept is controversial and debatable whether this is yet another self-inflicted bias perpetuated by how our society divides and compartmentalizes according to race, class, gender and ability. As author Shannon Hale notes, “I’ve heard it a hundred times with Hunger Games: “Boys, even though this is about a girl, you’ll like it!” Even though. I never heard a single time, “Girls, even though Harry Potter is about a boy, you’ll like it!” Read Shannon’s excellent post on her experiences being stamped as a writer of books intended for girls only. So when I stumbled on Mary Hershey’s novel, The One Where the Kid Nearly Jumps to His Death and Lands in California, (Razorbill) I was pleased on multiple fronts. 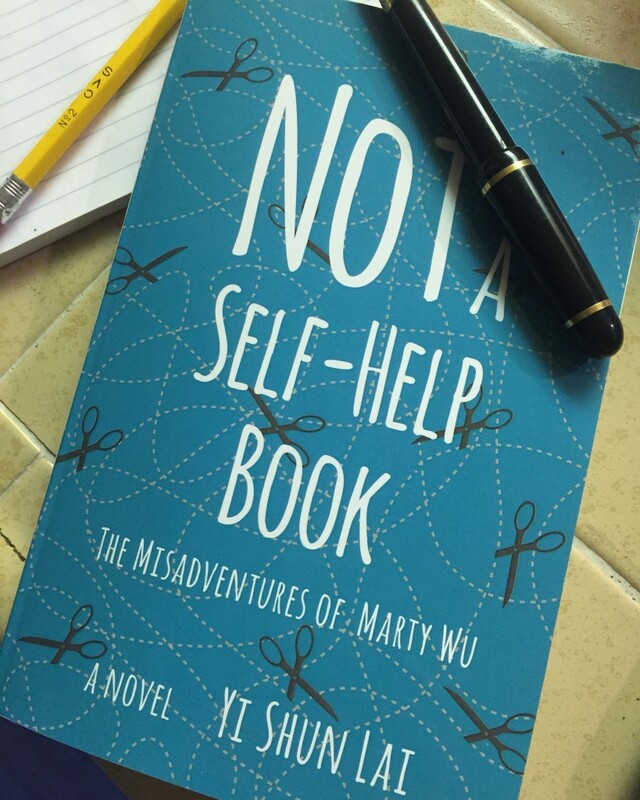 The book has an unwieldy title, a complicated plot with too many subplots, creepy characters, difficult father-son relationships, rough language…hey, wait a minute…this is starting to sound pretty appealing! It also had something else to recommend it. The story centers on thirteen-year-old Alastair, who calls himself ‘Stump,’ who is shipped out to spend the summer with his estranged father in California. When Alastair was eight, he lost one of his legs after a too-soon jump from a ski lift. Guess who was supposed to be supervising him at the time? Now Stump is ready to confront his father for ruining his life. Except he didn’t count on a host of new discoveries he makes, not least of which is the unrelenting optimism of Skyla, his father’s new wife who also happens to be a double amputee. Hershey has woven macabre humor and irreverence into Alastair’s life that I suspect young readers will find satisfying. The jump in the title is both literal and metaphoric, as the best jumps should be. Both Stump and his father are on the brink of looking at each other in new ways. Hershey lets us see their journey with wicked humor and underlying affection. But the real star of this story is Stump and his voice. Hersey skillfully writes Stump’s disability as just one facet of his personality, not the story’s focus. Stump is the first one out of the gate to crack jokes about his own disability, such as when he takes off his leg at school, puts it in his locker, then ties a rag with fake blood around it. It is worth noting that the author is a former juvenile probation officer who says she has had ‘the great privilege of working with some very funny, smart, and resilient kids.’ In her wonderful depiction of Stump, it shows. 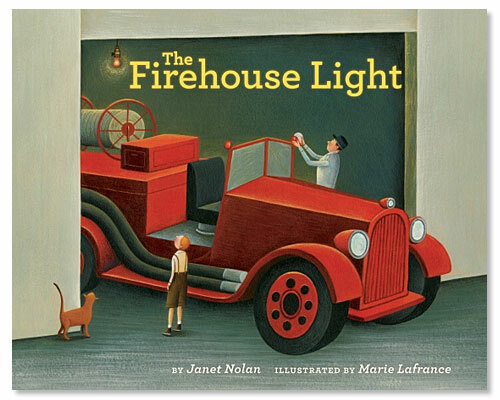 I came across this title The Firehouse Light by Janet Nolan, illustrated by Marie Lafrance. It’s my kind of book, a story that starts with a kernel of truth and brings it alive through fiction, with the added fun of research along the way. Apparently, in 1901, the owner of the power and light company in Livermore, Calif., gave that Bay Area town’s volunteer firefighters a four-watt bulb to help them find their equipment in the dark. The bulb, made of carbon filament and hand-blown glass, has been burning ever since, and is thought to be the world’s longest continuously burning bulb. 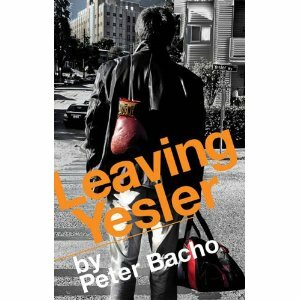 I just found out that Peter Bacho’s book Leaving Yesler, that I reviewed for the Whidbey Writers Workshop MFA student site is going into its second edition after only three months! He’ll be one of the visiting faculty at Whidbey in January 2011. Congratulations Peter! Here’s a reprint of my review. An interview I did with Bacho can be found here as well. People who read novels know that fiction can sometimes get closer to the truth than facts ever can. For young readers, this is less of a revelation than an expectation.